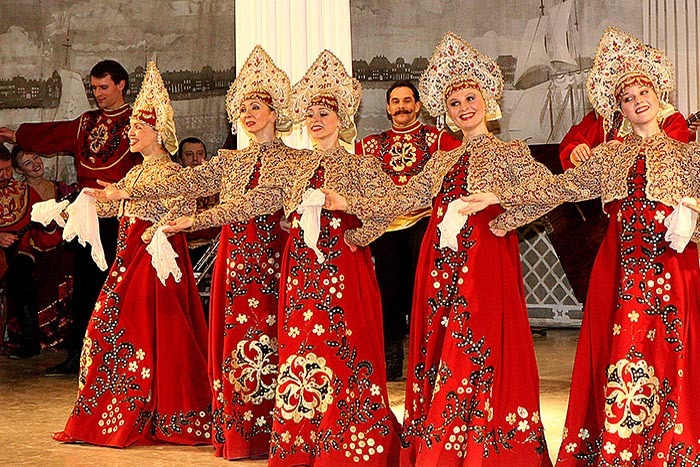 Folk Shows in Saint Petersburg are quintessence of rich Russian culture, embodied in traditional dances and songs. 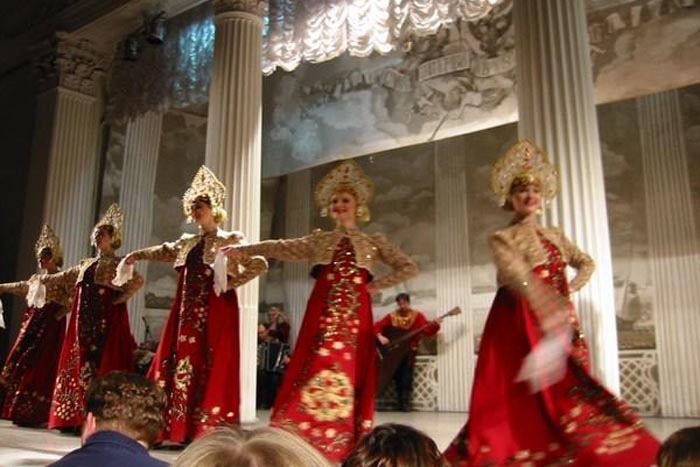 Everydoby will understand language of dance and rhytms of songs, no matter, which language he or she speaks. 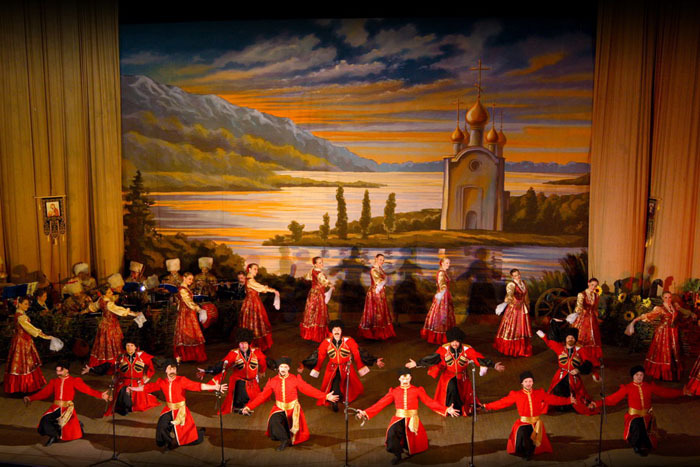 Folkshow is the best way to get acquainted with Russian history and culture and of course to spend unforgettable evening. 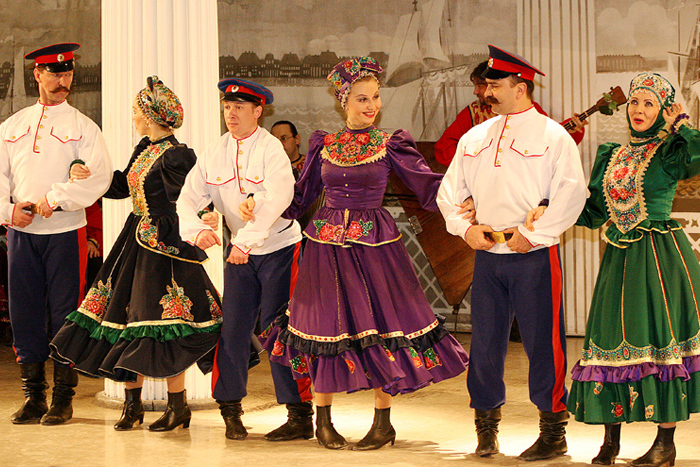 As a rule, folkshows include songs and dance os different genres. 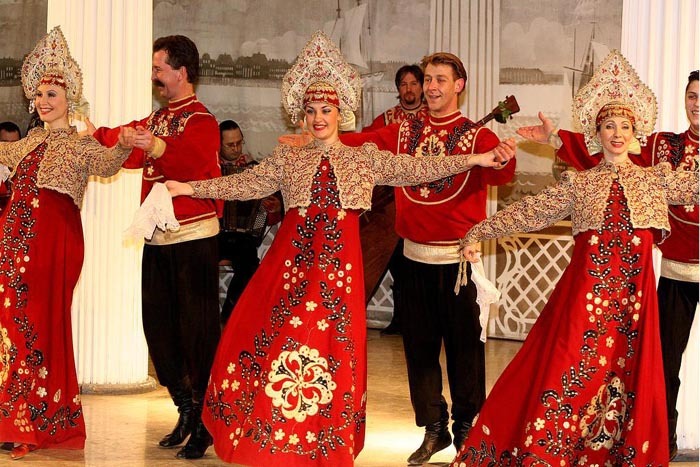 Very common are traditional songs and dances from villages from Central and Northwest regions of Russia. 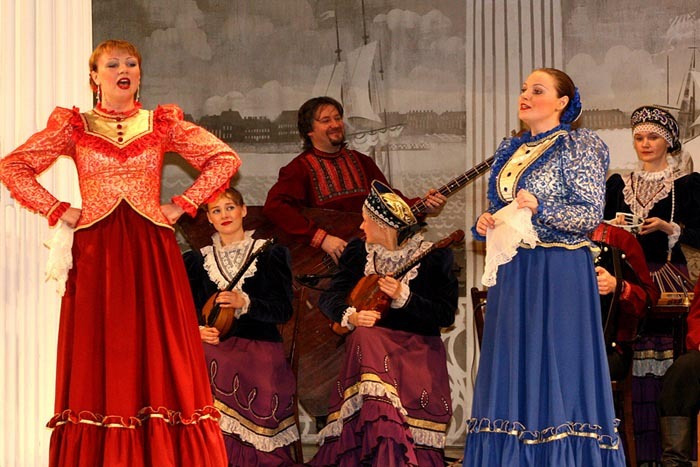 Every ceremony, been it wedding, ingathering or just a holiday, has its own songs, presented during folkshows. 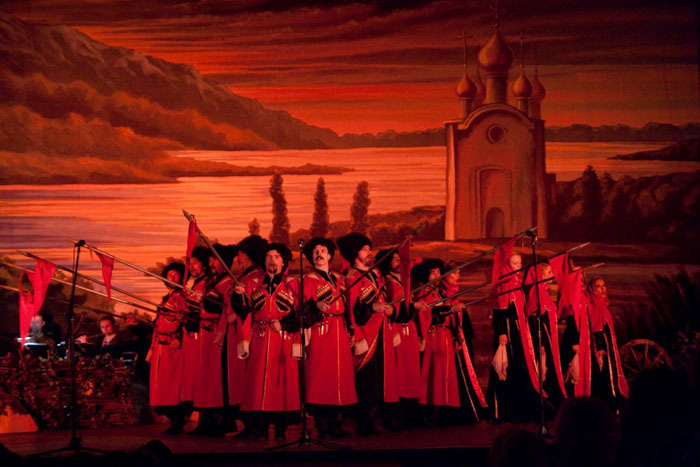 Another layer of folk culture are Cossacks' songs from Southern Russia. 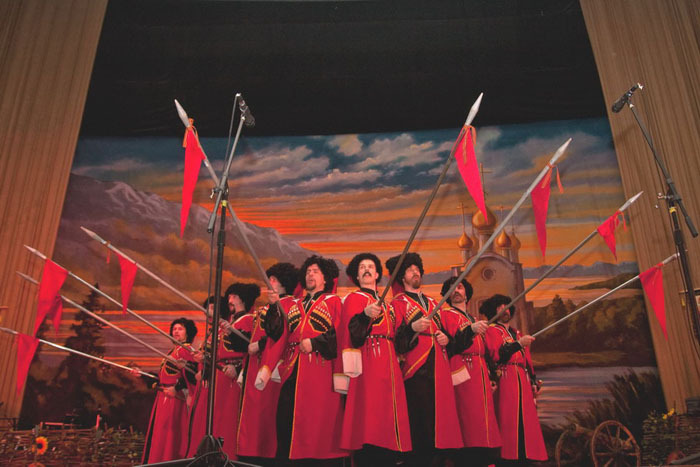 Cossacks are members of independent semi-military communities. They served as border guards and protectors of towns. 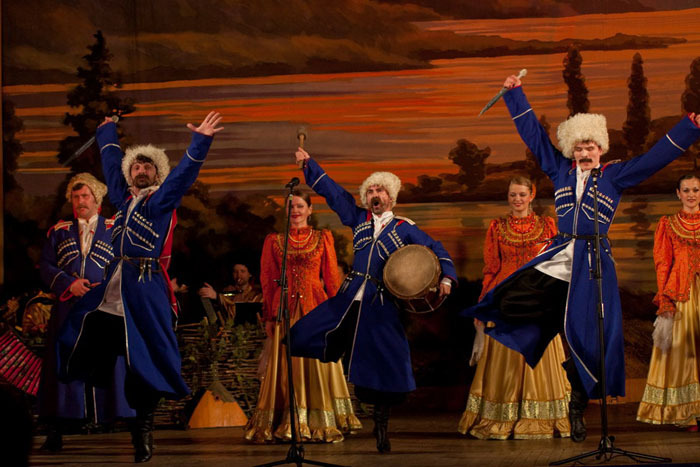 Cossacks have rick folclore culture, including breathtaking dances and beautiful songs. 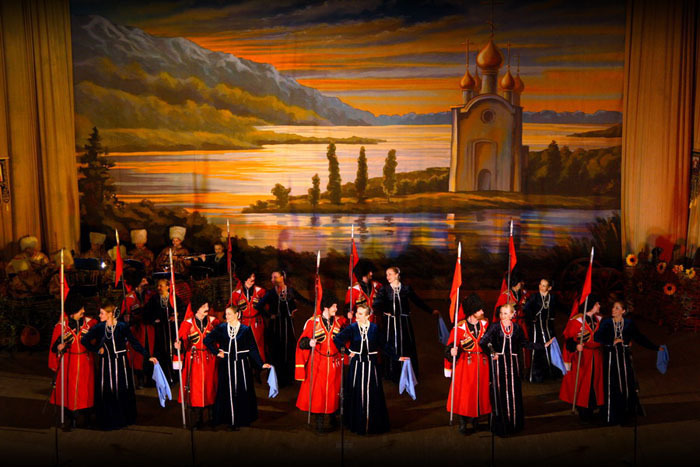 Military songs, which were usually performed during important holidays, especially during the Soviet times, also became park of Russian folklore, and are definitely not to be missed. 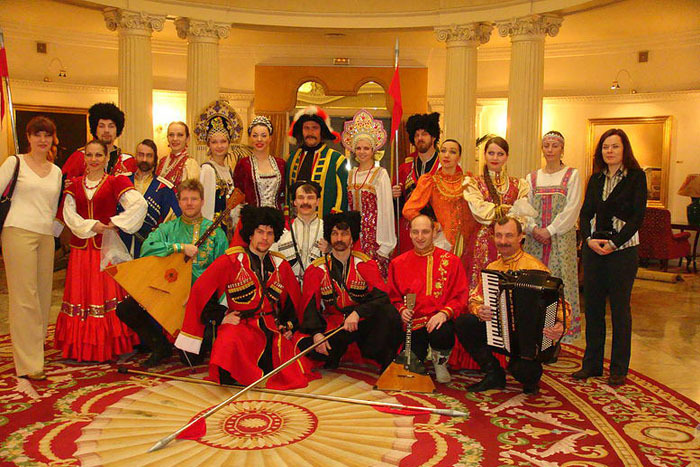 There is a number of different folkshow groups in Saint Petersburg. 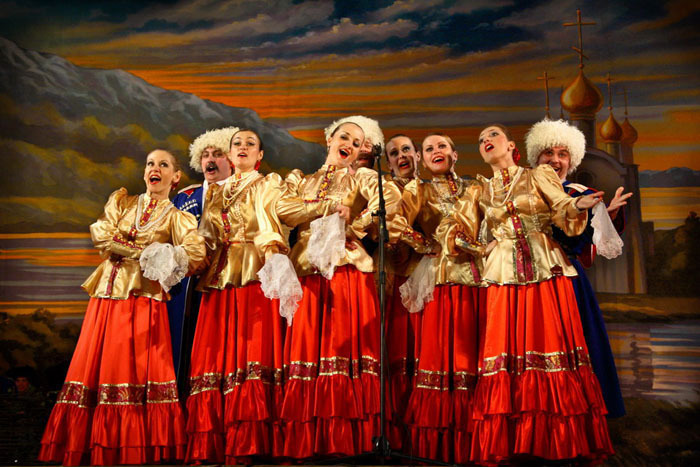 The oldest and the most popular show is Feel Yourself Russian. 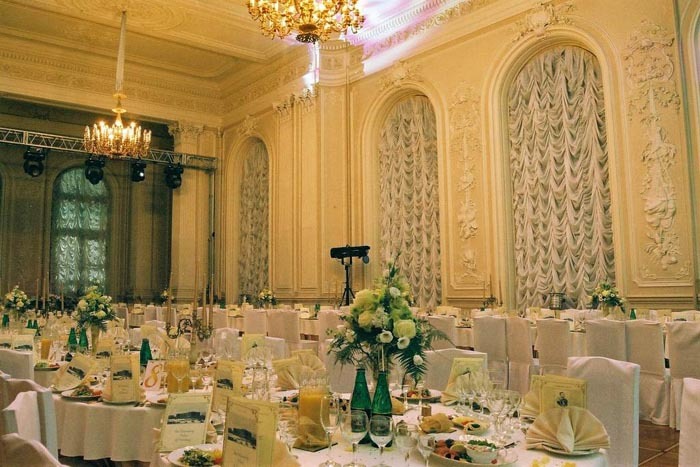 The show is held in the White Gala hall of the Nikolaevsky Palace, so every guest of the show can feel himself as guest of the Russian tsar. 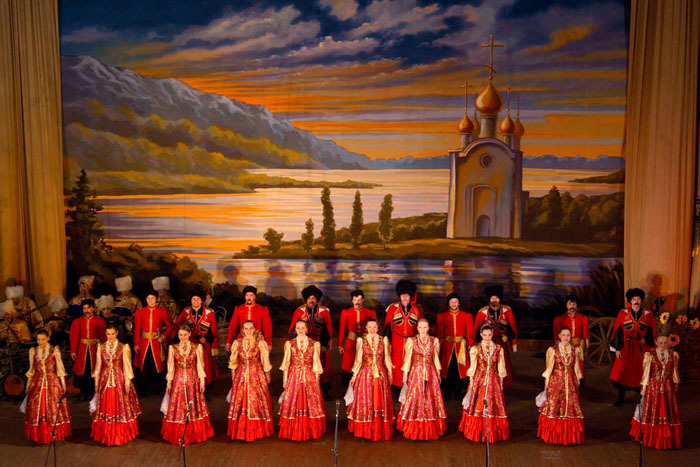 Feel yourself Russian is chamber and colorful show. 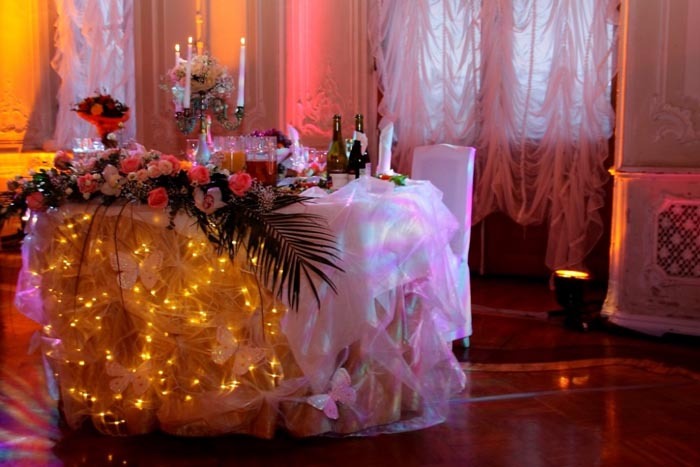 Rich fourchette of champagne, vodka, sofdrinks, canapes and fruits is served during the intermission. 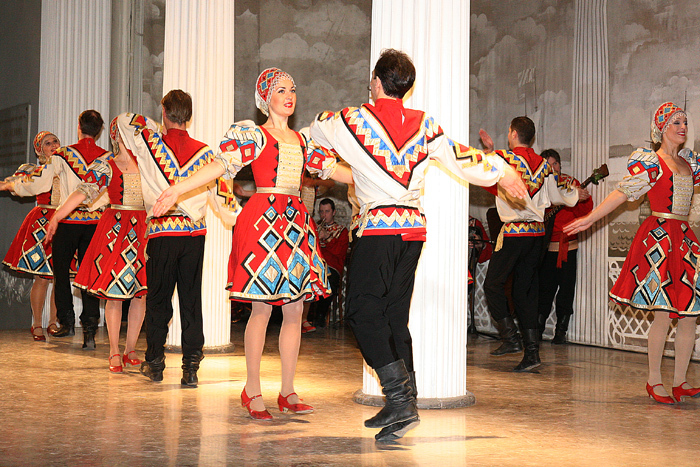 Bagatitsa Cossack Dance is hot and bright cossacks folkshow, held in Mansion of Countess Sofia Panina. 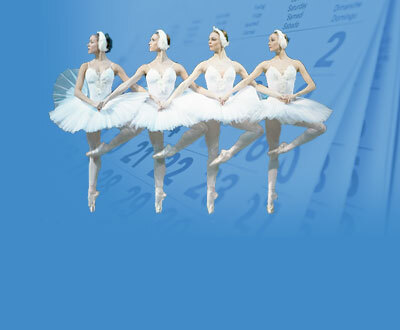 The ensemble includes the orchestra, the dancing choir and the singing ballet. 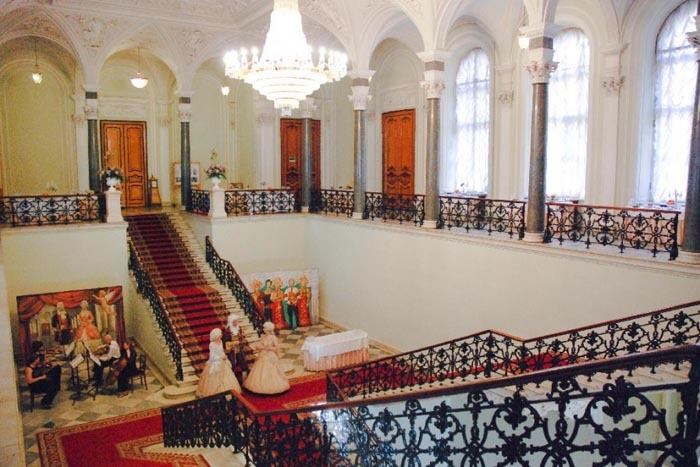 Anichkov palace Folkshow is held in the Carnival concert hall. 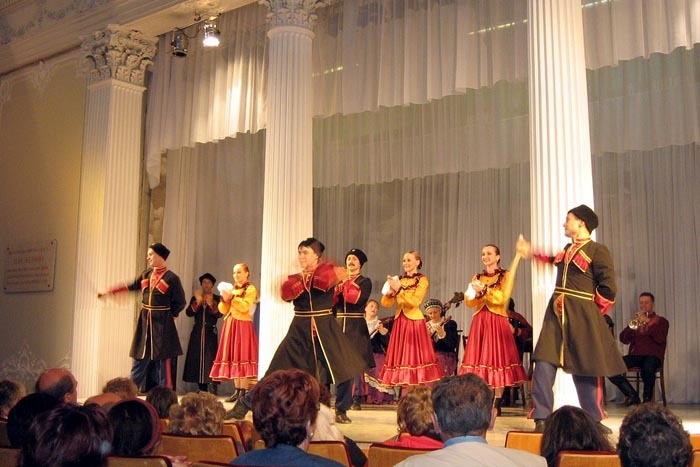 Traditional Russian folk dances and music of accordeon and balalaika are performed by different folk groups. 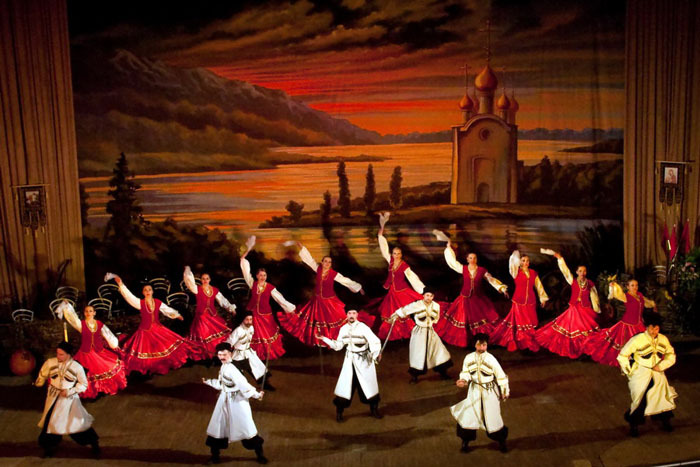 Generally it is easier to get tickets for the folkshows than for the ballet performances, however, Feel yourself Russian tickets run out quickly during the high season. 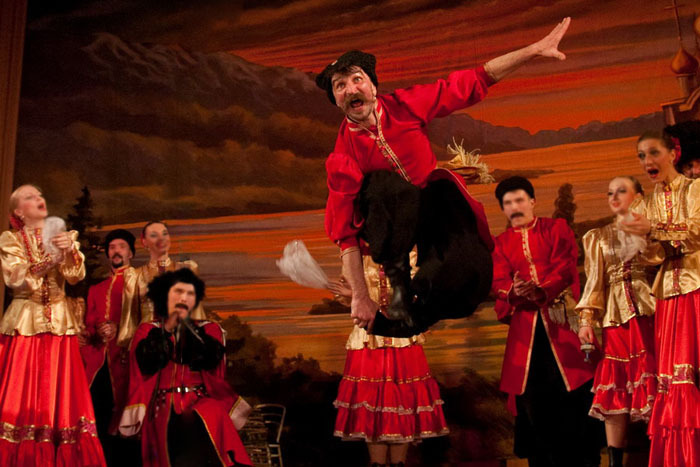 Of course advance reservations are strongly recommended for all the folkshows, as the shows can be fully booked 1-2 days before the performance takes place. 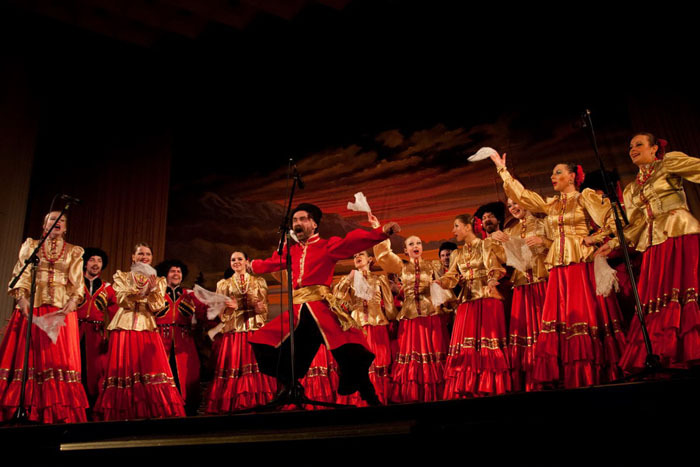 Please, note, that as a rule seats are not specified at the folkshow performances, so first come - first served rule works. 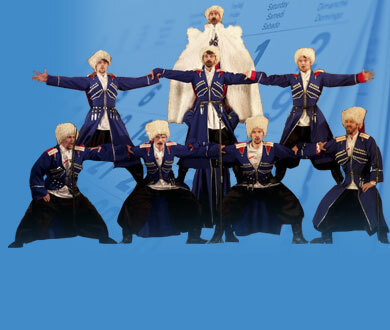 We strongly recommend to arrive at least half an hour before the show to secure the best seats. 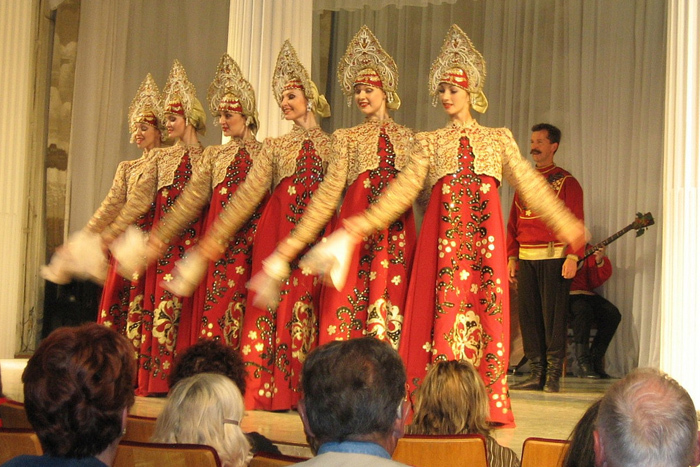 As a rule, there is no special dress code for the Folklore show. 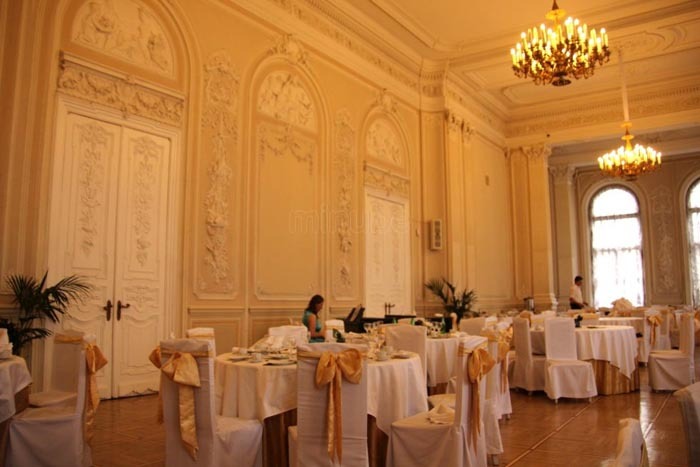 Formal wear is not necessary, as the shows are informal and entertaining. You are not supposed to be dressed up. 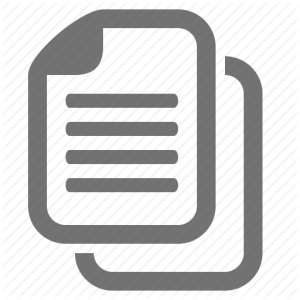 Casual wear is recommended, however, smart casual clothes would also be fine. Jeans and T-shirts are accepted, but shorts are not advisable.